This is a family favorite of ours. I don’t know why it didn’t occur to me to make it while we were officially on GAPS. It would have fit in fabulously well once we began including legumes into our diet again. This was the first time I made it with garbanzo fava flour rather than all-purpose, but it turned out beautifully. It’s lemony and light but filling, as it’s “breaded”. The breading is light in itself, however. 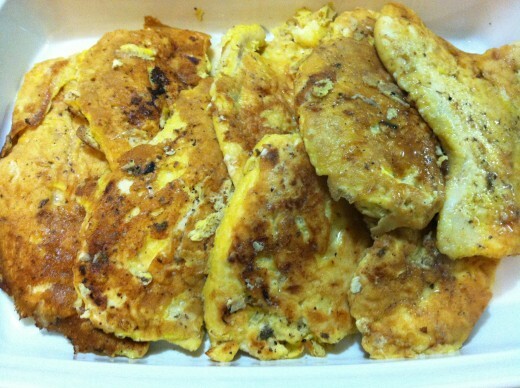 Just eggs, salt and pepper, and cheese. The lemony sauce makes it perfect for a warm spring day with a slight chilly breeze, exactly the kind of day we had here in the mountains. Unfortunately I served it on a dreary, misty, cold day. It hit the spot and filled our bellies with warmth, like a little bit of sunshine in our gloomy rain-soaked cottage. 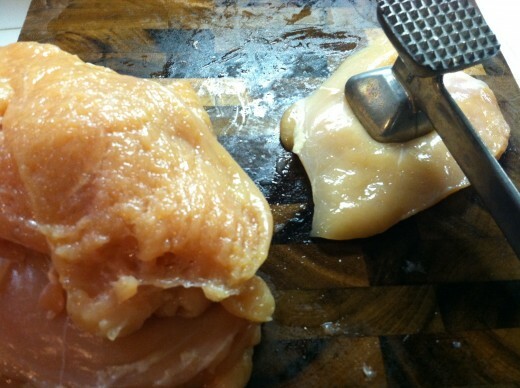 With a meat mallet, pound the breasts thin but be careful not to hit them too hard and tear the delicate flesh. 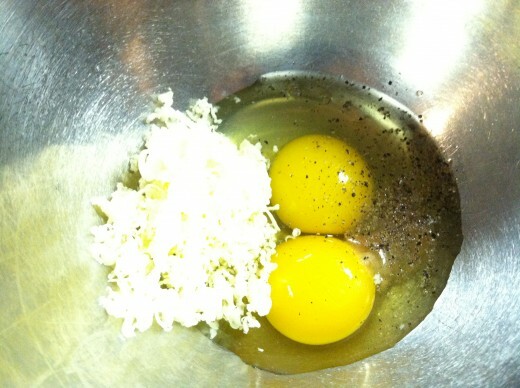 Beat the eggs with the salt, pepper, and cheese to make a batter. Heat a griddle or iron skillets. 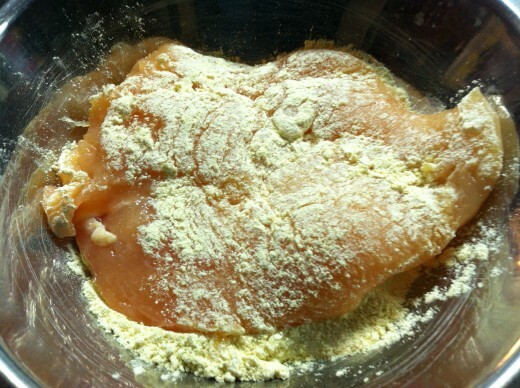 Dredge the chicken pieces in the flour. 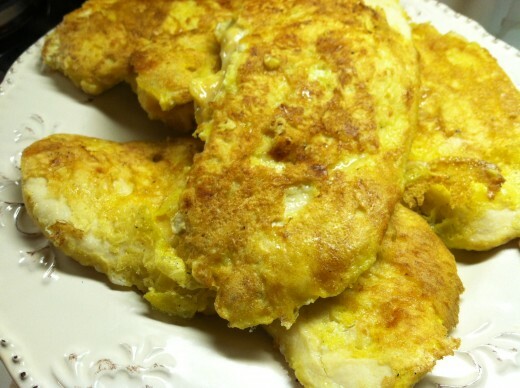 Coat with the egg batter. 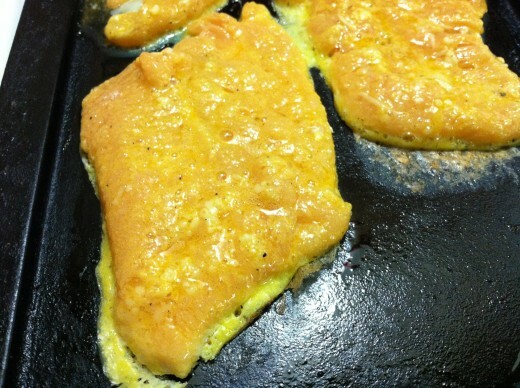 Cook gently on both sides until golden, but not until the chicken is thoroughly cooked. Transfer the chicken pieces to a platter. 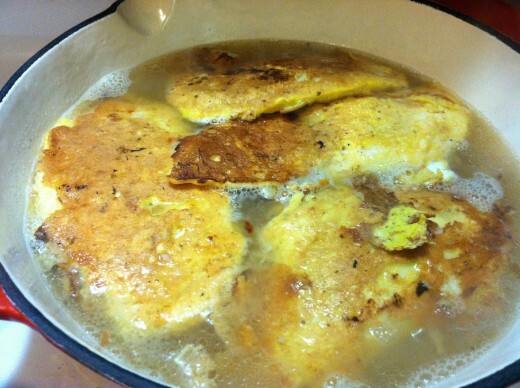 Heat the chicken broth in a very large Dutch oven or divide it between two skillets. Add the butter. 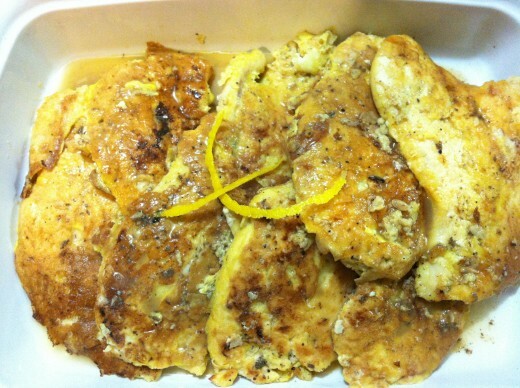 Pour in the lemon juice and add the chicken pieces. 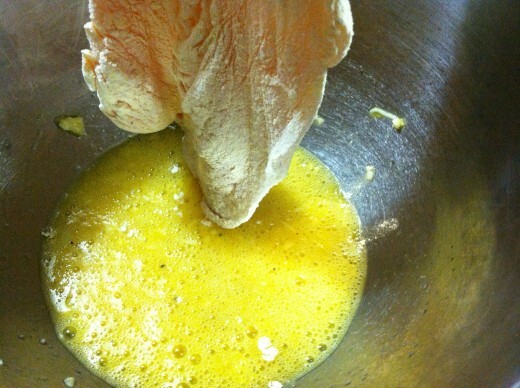 Simmer gently until the liquid is reduced and thickened and the chicken is thoroughly cooked, 8 to 10 minutes. Place the chicken pieces on a serving platter. Season and reduce the sauce to taste. Pour over the chicken pieces. I got a little confused…when you browned the chicken…did you mean to cook the chicken until done or did I miss when the chicken finished cooking? I want to do this meal for my entry! I’m sorry. I wasn’t very clear on that. I just went and corrected that portion of the post. 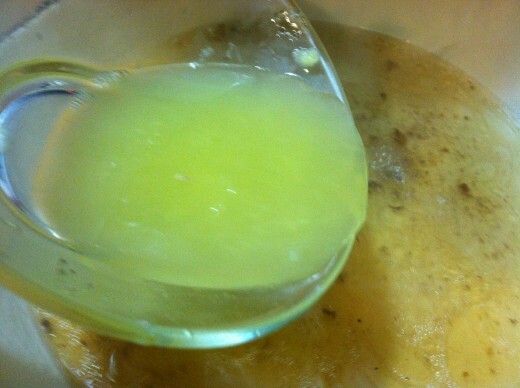 After you add the lemon juice to the chicken broth, you also add the in the chicken. 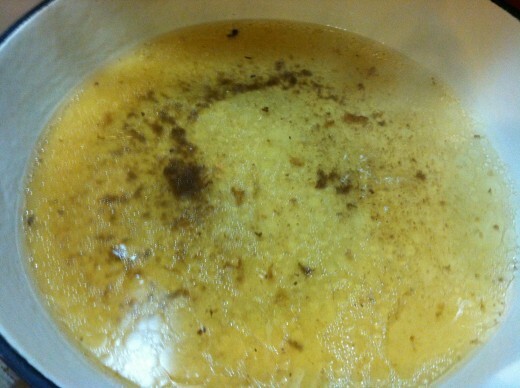 It finishes cooking in the lemony liquid as it reduces to a sauce. 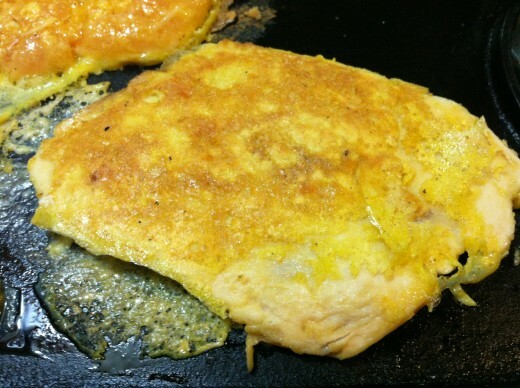 It doesn’t take long because cooking them on the griddle just about finishes them off. 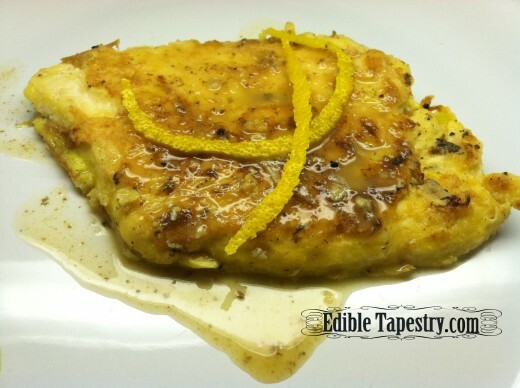 Thanks for following Edible Tapestry and joining in The Hungry Games!